Again I'm sharing some of my garden roses! 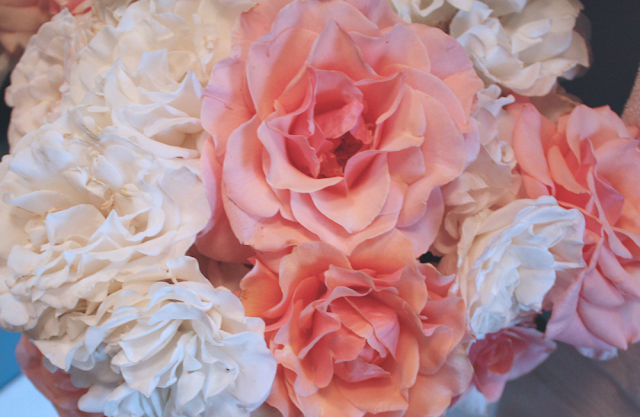 These white ones are called "French Lace" and the peachy pink ones are called "Nancy Reagan". The French Lace roses are one of my favorites and they are used often in bridal bouquets. I bought these roses at the same time when I first moved into my little apartment 10 years ago! I thought they would look nice together because the French Lace start out a soft peach color. The Nancy Reagan roses are both a peach and a pink color with each rose a little bit of a different shade of peachy-pink. That beautiful Mikasa Capella crystal vase was sent to me by the nice people at Mikasa. They didn't even ask me to blog about it but I wanted to mention them because I thought that was really nice! They also sent me some crystal candlesticks which I will share another time and some wine glasses! 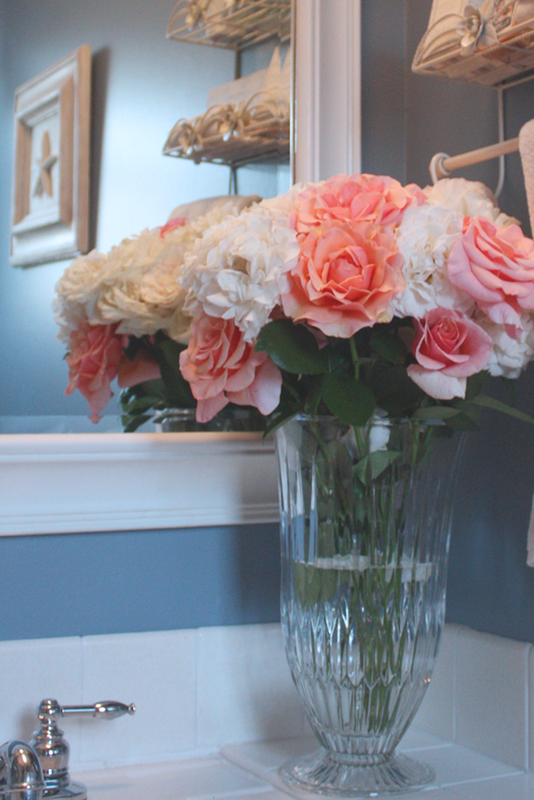 This 12 inch vase works perfectly with these long stem roses! Every time I post pics of my bathroom I always get emails asking me what the paint color is. It's Behr paint from Home Depot and the color is called "Bleached Denim". It's actually a little darker than it looks in these photos. I love the color and it makes the white paint POP and look so fresh! Large ocean view suite with living room, dining room, full kitchen, and a large master bedroom/bath at the new Westin Ka'anapali Ocean Resort Villas on Kaanapali Beach on Maui; there are two weeks currently available in 2013 that can be booked separately or together at the rate of $1,975 per week; book early to get this great below season rate and low advance airfares. Please send me an email at cindy95131@yahoo if you are interested and I will put you in contact with Allen. Oh Cindy! Your bath is so lovely and the roses are gorgeous!! What a pretty spot to pamper yourself. 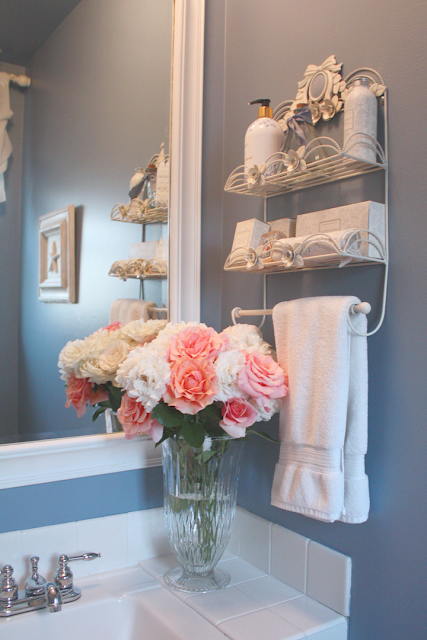 Beautiful roses and love the color of the bathroom. And have a great vacation in Hawaii. I love your roses. In fact you are my inspiration to buy my Climbing Eden Rose to put into my Secret Garden. I love it so much. I will be buying more and I think French Lace is the next one to purchase. Thanks again for your beautiful blog and congrats on having such a wonderful time with your "boyfriend" we all need a boyfriend...or...sweetheart. Thanks so much for the party I love the bathroom color! Cindy, Thank you so much for hosting. I love the wall color in your bathroom and the roses are breathtaking. Your pictures are great. Thank you I love your 'Show And Tell Fridays'. I like your bathroom color, it's very unusual. I have the same problem with calling my partner. We're together over 11 years and he is still my boyfriend. Have a good time in Hawaii. Thank you so much for hosting Cindy, your roses are gorgeous! Pretty roses! Thanks for hosting! Thank you for hosting a great party. Great ideas! Also toured your home and loved it, especially your garden. I want a retreat like that! 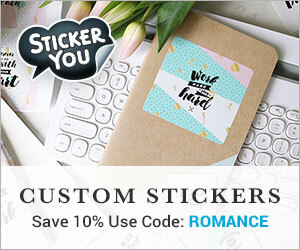 I love your roses ! Here in France, we had such a bad time but no roses yet !! Thank you so much for hosting this so nice party. Ciao Cindy, your roses are beautiful! Your bathroom is gorgeous! My upstairs bathroom used to be a similar blue. Those roses really set the room off. I linked up to your party with an older post of mine showing my bathroom. Thanks for hosting! Cindy, your roses are so beautiful! I love the blue of your bathroom. Hawaii again!! Life is good! Thanks for hosting another great party! We appreciate all the work you do so we can show off! Thanks for sharing your beautiful bathroom. What an inspiration! Your roses are gorgeous; I can almost smell now! Thank you for hosting the and have a great weekend! 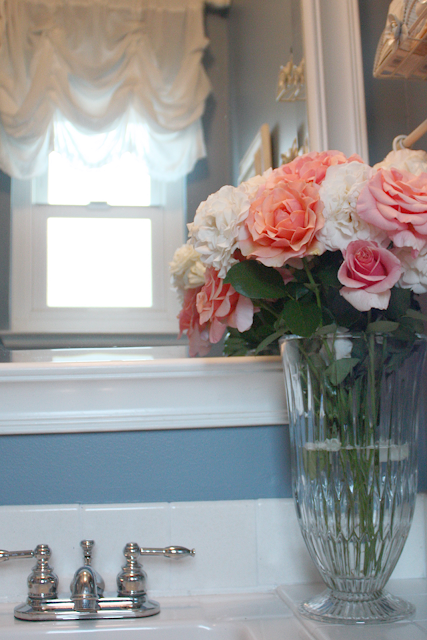 Your roses are gorgeous and I love how lovely your bathroom looks with it! Thank you for hosting and enjoy your weekend. 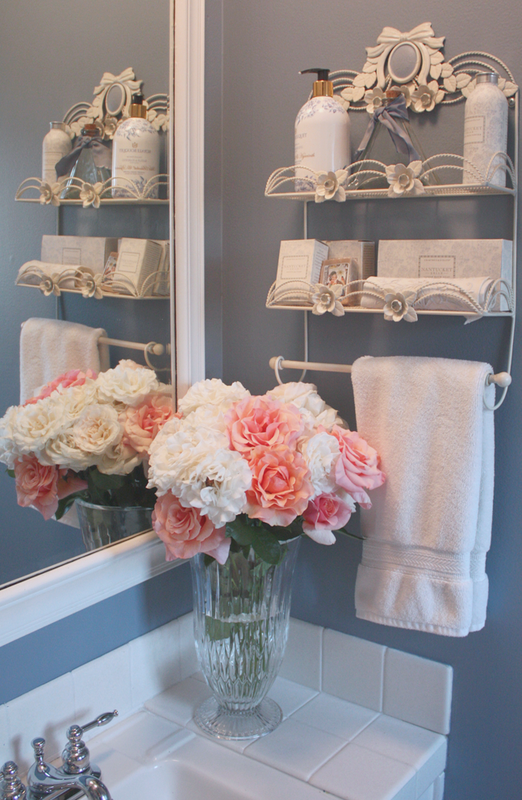 The colour of your bathroom walls is the perfect background for the roses! Your bathroom is such a lovely space... the roses are beautiful. Hope you have a wonderful time in Hawaii and thanks for hosting another great party. The roses are beautiful! I do not have a green thumb, so I am envious! Thank you for the party! your bathroom is just wonderful.. 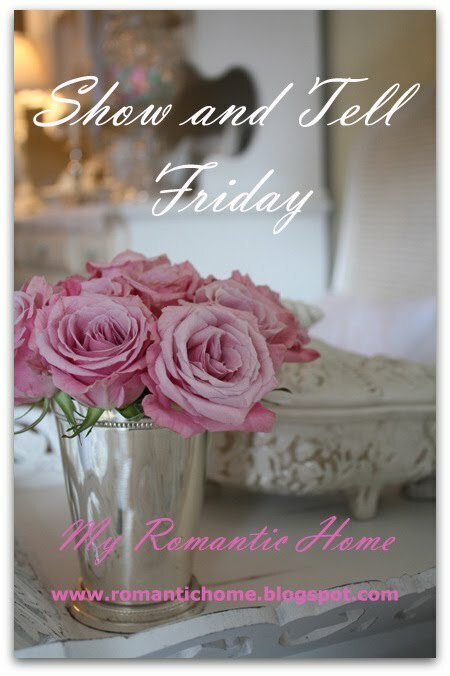 I LoVe your French Lace roses ! Thank you for hosting and sharing all the fun. Wonderful bathroom color. Wish I was so colorful. Hi Cindy, I read your note after I had linked. I also had a place I recently visited to share.